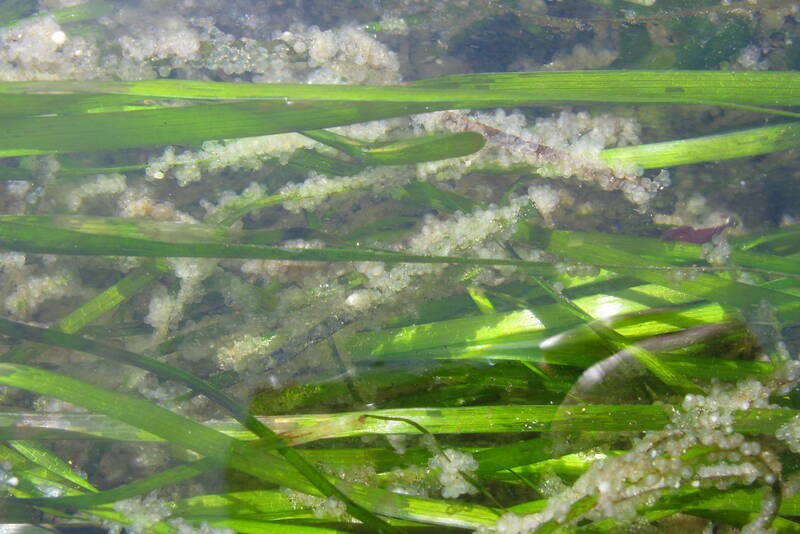 The complex and intricate food webs of an eelgrass meadow rival the world’s richest farmlands and tropical rainforests. From an unstructured muddy/sandy bottom grows a pattern of leaves that supply nutrients to fish, shellfish, waterfowl and about 124 species of invertebrates. 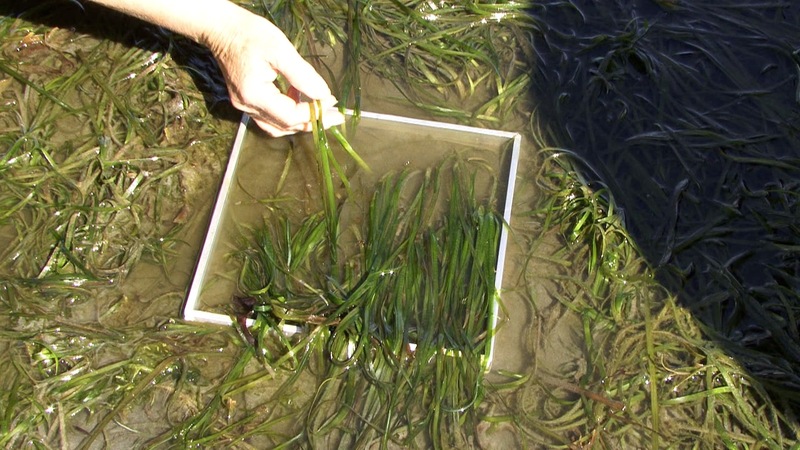 Native eelgrass (Zostera marina) plants retain their leaves year-round. 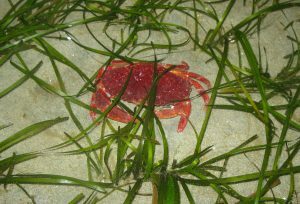 Animals living in this meadow, such as juvenile salmon, young herring, nudibranchs, anemones, jellyfish, clams, scallops, shrimp, spider, red rock and dungeness crabs, sea stars, moon snails, sand dollars and others, find protection and food. 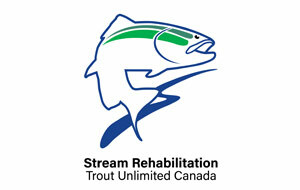 It provides a habitat for spawning and a nursery for rearing young fish and invertebrates. The extensive root system of the plants helps stabilize sediments and prevent erosion along the BC coastline. 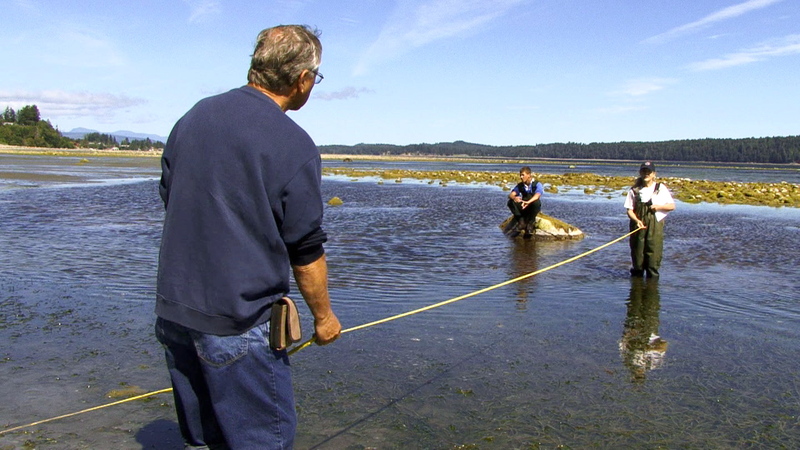 Damage to eelgrass can affect an entire ecosystem, as well as the stability of our shorelines. As the majority of the earth’s population now lives within 10% of land defined as “coastal”, this increase has caused the destruction of approximately 215,000,000 acres of estuarine habitat worldwide. In the Georgia Strait, alone, it is estimated at 18%. 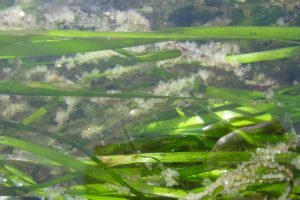 For the survival of our salmon, protection of the eelgrass habitat is as important as the kelp beds, the rivers and the forests. It ensures that these interconnected ecosystems continue to support the salmon that are so vital to us. 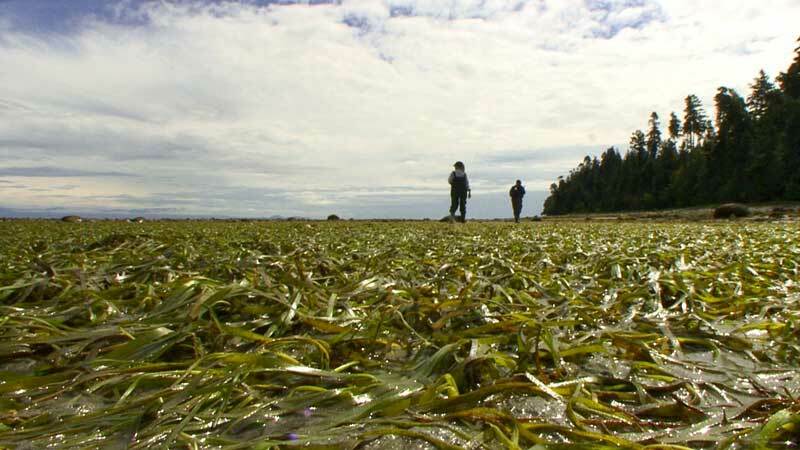 As part of a network of groups along both sides of the Strait of Georgia from Victoria to Haida Gwaii belonging to the Seagrass Conservation Working Group, a part of Seachange Marine Conservation Society, we map our local eelgrass beds each year to monitor their growth or decline. 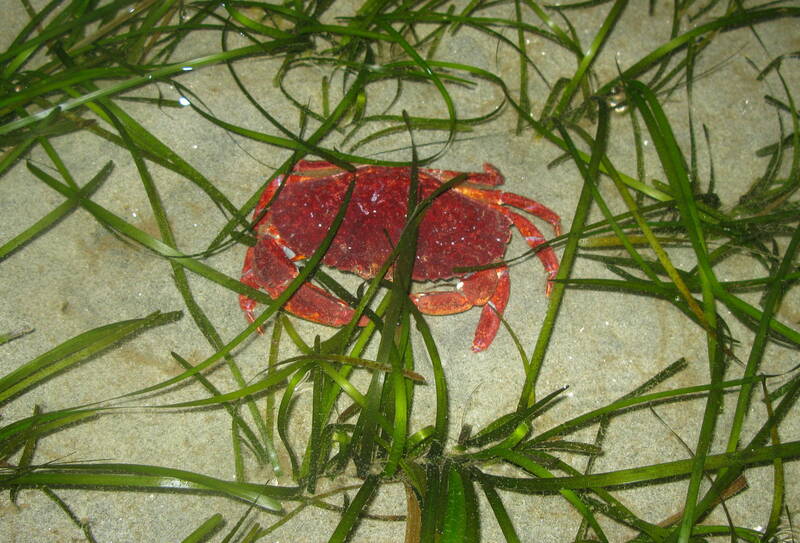 We observe, photograph and identify the various species of fish and invertebrates that live, spawn and graze the beds at various times during the year. 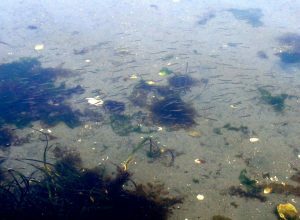 This allows us to monitor the high, ecological value of the eelgrass habitat, including its use by juvenile salmon. 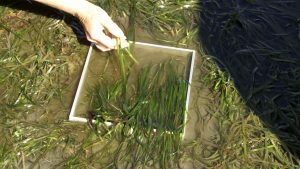 Methods for Mapping and Monitoring Eelgrass Habitat in B.C.